The Army ROTC “Mohawk” Battalion hosted at Siena College trains and develops future leaders of the United States Army. As the host institution for Army ROTC in the Capital Region, the Mohawk Army ROTC includes cross-enrolled students from more than 15 schools, including Rensselaer Polytechnic Institute and the University at Albany. 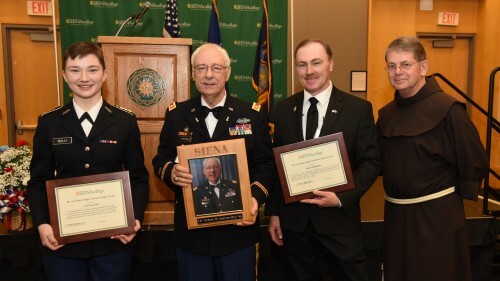 Over the past two decades, Siena College and the Mohawk Army ROTC have received numerous accolades, including the #1 large Army ROTC program in the Northeast. ROTC is an elective curriculum that provides exceptional leadership training that is applicable to any career. In addition to Siena’s traditional liberal arts curriculum, ROTC students take specialized coursework that includes classes in military science, leadership and management. 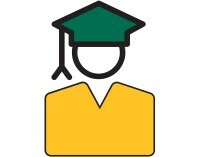 Students who complete the four-year program will be commissioned as an officer in the U.S. Army.